Girls’ educational attainment in Pakistan lags behind the level of attainment of boys. This is seen in literacy levels and school enrolment figures, which reveal that large number of girls, have limited access to even basic schooling. As per 1998 Census, the overall literacy was 37%. In 2010 it increased to 53% with male having the ratio of 72% as against the 35% for female. 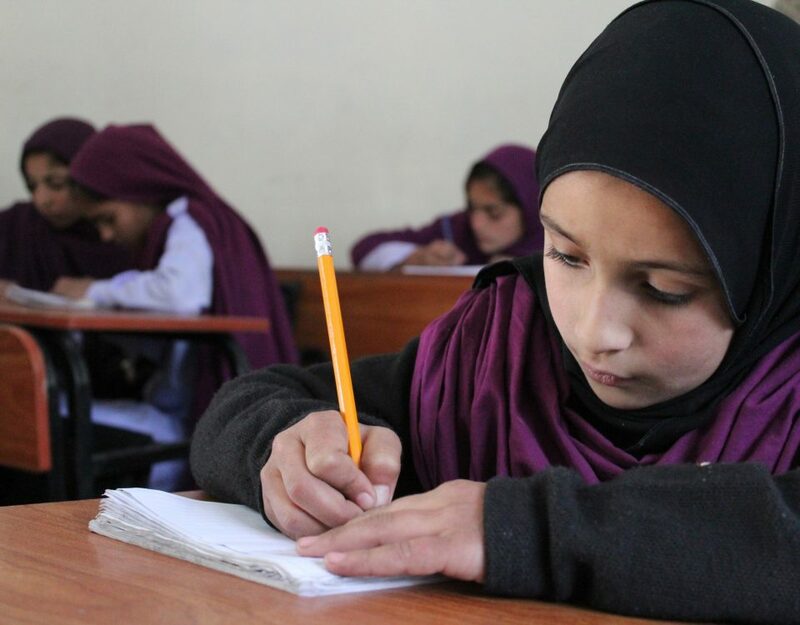 Similarly in the province of KPK, Government girl’s institutes are already 50% less than boy’s institutions and there are many Union Councils where there is no institution for girls to study in after the primary education i.e. at middle, secondary and higher secondary level. Parents usually do not permit their grown-up girls to go to study outside (city areas or town) mainly on account of their security concerns. In this way girls remain deprived of education after completing their primary education. 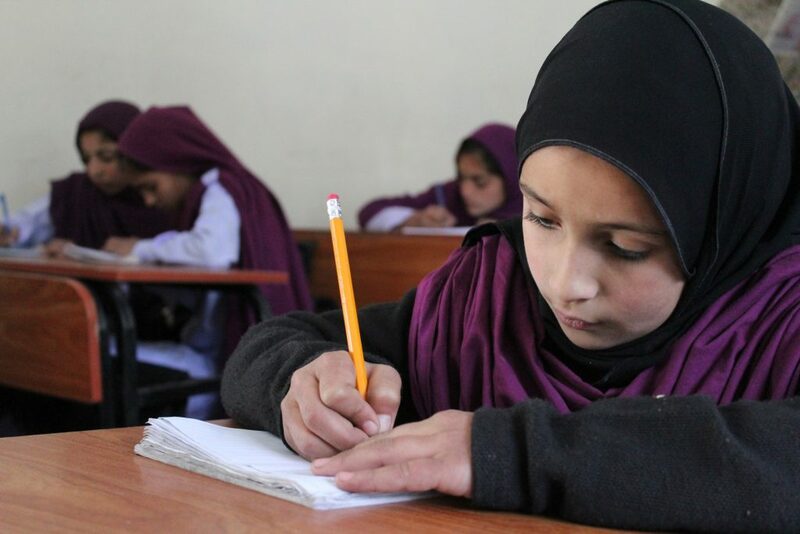 Friends Pakistan with the support of Hoshyar Foundation, The Maria Helena Foundation and The Embassy of Japan in Pakistan is contributing in providing the opportunity of acquiring education to all those girls whose education was always at stake after the completion of primary level. 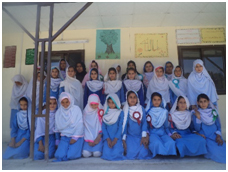 In this respect Ten (10) community based schools are established in far flung areas of District Mansehra that are providing free education to girls at middle, high and high secondary level. Currently, five hundred and ninety four (594) girls are attaining education in these schools. 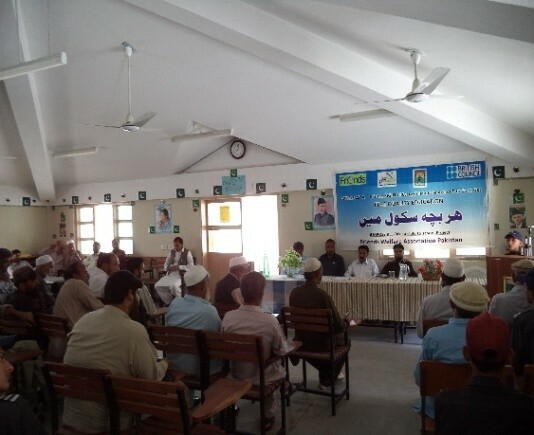 Similarly, one hundred and forty eight (148) students have completed matriculation and sixteen (16) students have completed Intermediate level education at the targeted schools. Till the year of 2012, community managed schools were catering only education in Arts up to the matriculation level. In the year 2013 another landmark of the Friends Pakistan with the Hoshyar Foundation was the initiation of the Science classes which was not only challenging but also seemed an uphill task in the beginning. With the cooperation of the local communities, professionally sound teachers and fully equipped science labs, the experience of initiating the science classes remained very successful and now the young girls have the opportunity to take the admission in the professional colleges after matriculation. Friends Welfare Association Pakistan (Friends Pakistan) is a nongovernmental, not for profit, non political and development oriented organization operational in KPK Pakistan. Address: B1-17 Datta Hamlet Housing Scheme Mansehra, KPK, Pakistan.